As an outgrowth of the King’s Daughters Society, the Junior League of Duluth was organized and affiliated with the Association of Junior Leagues of America on December 21, 1920. The Association was incorporated on December 21, 1921. The Junior League of Duluth has been involved in over seventy projects over the past ninety-five years! Together with community partners, we have helped develop the Human Development Center and were integral to the building of First Witness and the Family Justice Center. Playfront Park was built and rebuilt as part of the Junior League of Duluth’s commitment to fostering a healthier community. Today we are focused on improving the health of the whole Twin Ports community by addressing food insecurity and food access issues through our Let it Grow programming. Interested in joining an organization committed to developing the potential of all women? 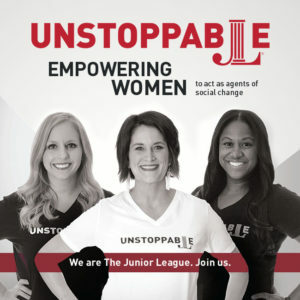 For more information on what Junior League of Duluth has to offer, please click here.